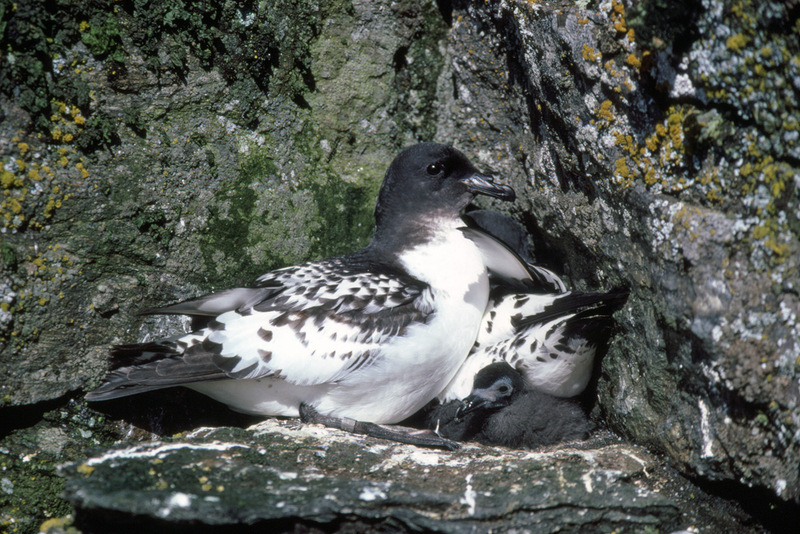 Breeding Season: Nests are made in November consisting of scrapes and piles of stones under protective rock ledges or rocky crevices in colonies on rocky cliffs and slopes usually within a kilometer of the ocean. The chicks fledge in March. Estimated world population: - 2,000,000. Feeding & diet: The usual Antarctic sea food of largely krill supplemented with fish, squid, carrion and refuse from ships where available. Usually they feed on the surface though shallow dives are also undertaken. 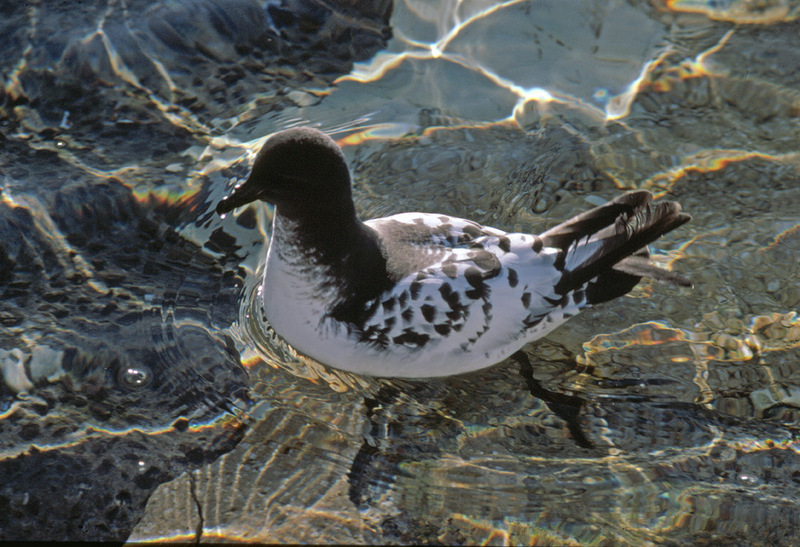 Distribution: Circumpolar, during the breeding season they are found around the coasts of Antarctica and sub-Antarctic islands, in the winter months they fly north as far as the equator. 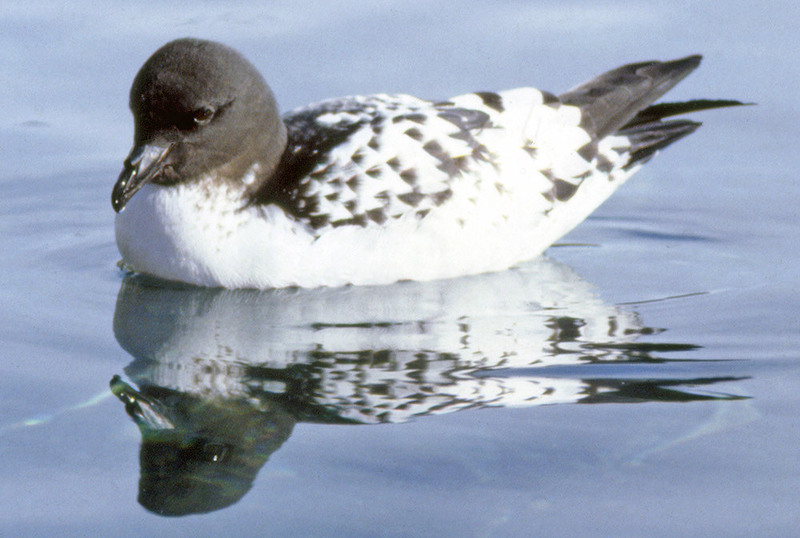 What are Cape Petrels like? This is a Cape pigeon or Pintado a pigeon sized petrel common around sub Antarctic islands and peninsula. 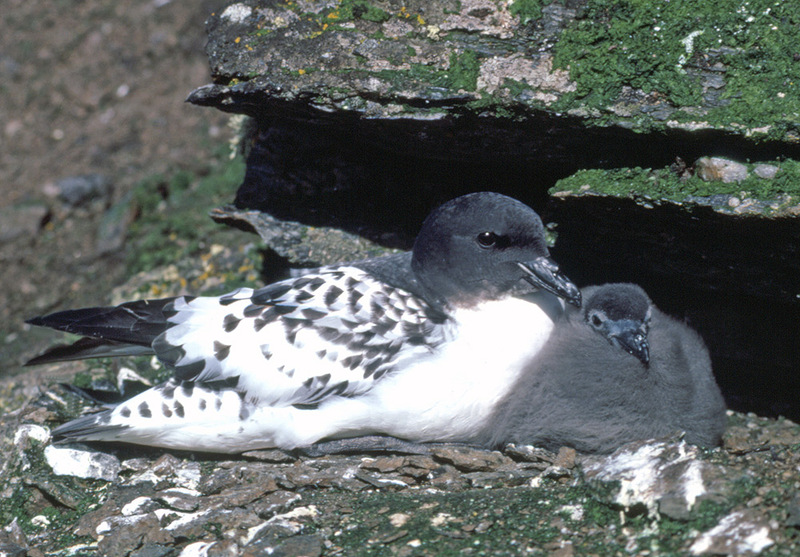 They nest on rocky ledges and usually rear a single chick which looks particularly shape-less until it fledges. It used to remind me of a fluffy ball with a head just stuck on the front. 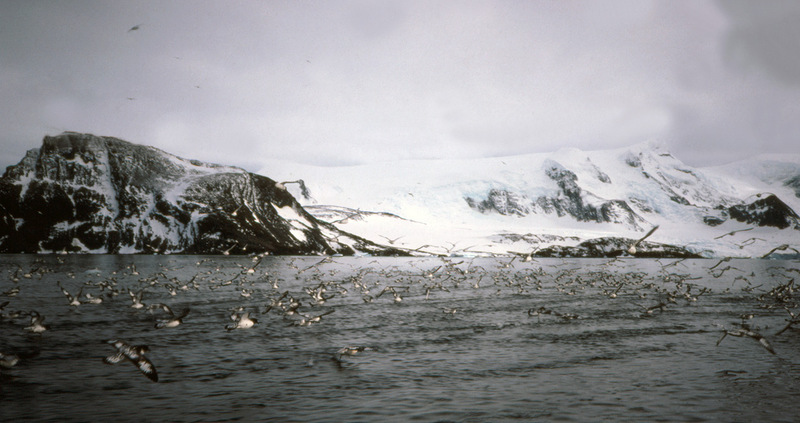 The birds tend to feed in flocks on krill and small fish but also will scavenge on scraps discarded by skuas and giant petrels when feasting on floating seal carcasses. It can get a bit cramped at the nest on a ledge when everyone wants to be there at the same time. A feeding flock of Cape Petrels take off. 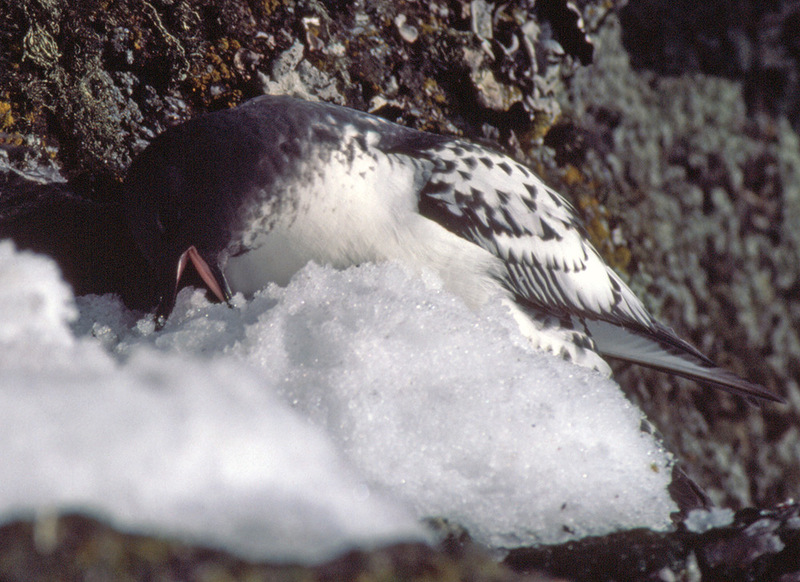 An early arrival starts to move snow to claim a nest site. Cape petrel in reflective mood (arf! ).